Hey all! 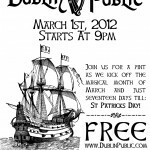 Dublin Public will be back at it again this Thursday, March 1st at Nadine’s Irish Mist in Sunset Beach, Ca. 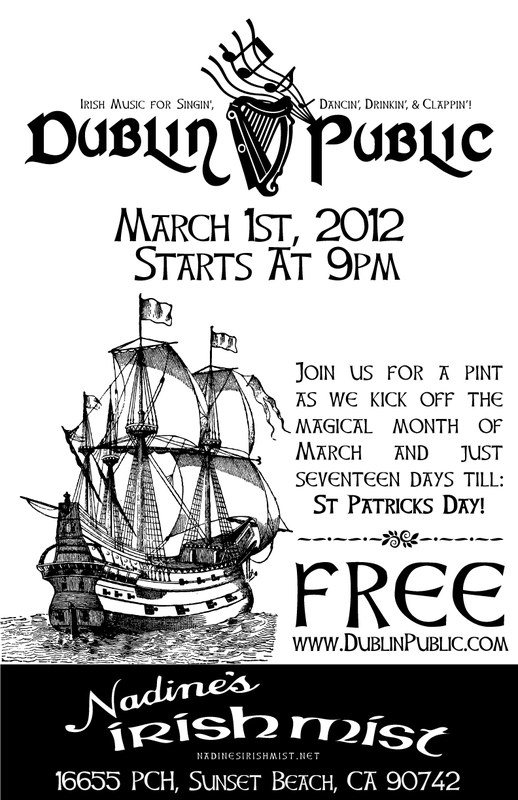 We are only doing 1 set so make sure to get there early as we go on at 9pm sharp! This is a trial gig for both us and the Mist as we have never played there before. If you live close and want us to play there regularly then make sure to come out and voice your opinion by drinking copious amounts of Guinness and singing loudly!